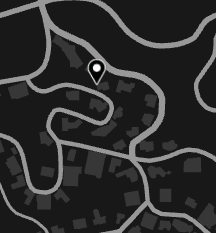 House is located in Vinewood hills. From Tequilala straight up. Only one house in this street is higher. Its a 3 car garage house with a little driveway. The backyard is easy accesable, when you face the house, go left around and you will be greeted with some real looking fake grass. House contains 1 pool and a hottub, but the system in the hottub is broken as it is never been used. #2289317 or email me at ((@Yputi#0001))@gmail.com. To reserve the house for when the current renter(s) are gone, it will cost $4,000. If you want to rent it when it is available, you don't have to pay extra. *Payment is upfront, so you pay the full price for the weeks you want upfront. **You can rent the house/a place in the house up to 4 months ((4 weeks IRL)) at the time. If there are no reservations after 4 months ((4 weeks IRL)) you may rent it up to 4 months ((4 weeks IRL)) again. Please be patient as this house won't be available for rent for now. Changes will be made, new name will be created and this page will get updated. Feel free to contact for questions.